The Salvatore's Pizza Family is proud that we have helped raise thousands for the following company approved non profits. Our executive board voted to support 5 key local charities for our 2019 campaign. Please make a donation! 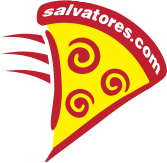 Please call the Salvatore's Pizzeria location owner that your non profit is currently supporting for pizza discounts or to book an event or place a catering order.